American Richard Emile Miller was part of a group of expatriate artists who settled in the French village of Giverny to be near renowned Impressionist Claude Monet (1840 – 1926). Although the Impressionistic style of quick brushstrokes that captured an “impression” of reality failed to resonate with American artists or consumers initially, eventually it became popular as a “modern” way to represent life. 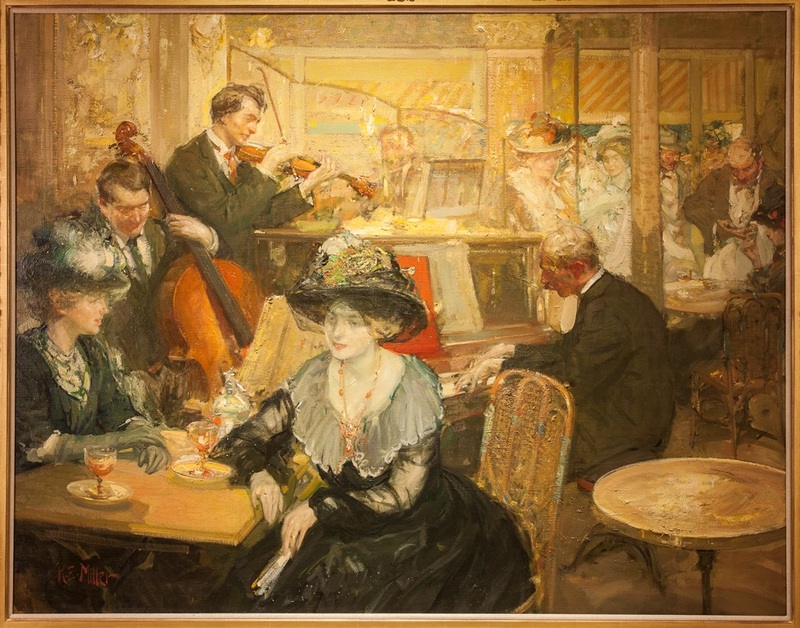 Here, Miller captured a lively French café, where fashionable women listen to a trio of musicians. His ebullient brushstrokes mimic the energy of the participants, as onlookers peer in from the street-side windows.